Best months to trek the Inca Trail to Machu Picchu. Technically you can trek the famous and Traditional Inca Trail to Machu Picchu in any month. Some months have more rain than others, some months have more bugs than others. Watch our Machu Picchu trekking video, then CONTACT US for further information. The 7 best months to trek the Inca Trail to Machu Picchu are April through October. The warmer months are going to be April and October. I have trekked the Inca Trail 10+ times and my favorite month is July. June, July, August and September right in the middle of Peru’s winter are the best months to trekc. Warmer months have a lot of bugs and can be very annoying. Check out our TOP 10 TIPS. The 5 best months to trek the Inca Trail to Machu Picchu are May, June, July, August and September. I have trekked in October and also a great month to make this trekking adventure to Machu Picchu. TRAINING ADVICE for your Inca trail trek. In my opinion the best 3 months to trek to Machu Picchu are June, July and August. We have our own full time staff member on the ground in Cusco and we only run quality treks to Machu Picchu. Read Some REVIEWS and check out our UPCOMING TREKS. My favorite month to Trek the famous Inca Trail to Machu Picchu is July. It is a little colder than other months but less bugs. I am not a big fan out getting eaten alive on the Inca trail. It really isn’t that cold but temperature up to 15 Celsius by 10am in the morning when you are walking around Machu Picchu. If you would like to join one of our treks along the Inca trail to Machu Picchu, get in touch with us. 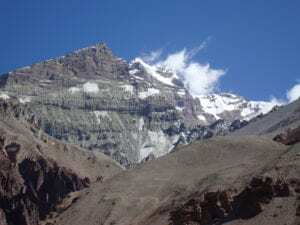 CLICK HERE for our 4 day trekking page. CLICK HERE for our 6 day Salkantay trek to Machu picchu and check out our REVIEWS. The warmer months on the Inca Trail to Machu Picchu are going to be April, August, September October and November. The colder months are going to be May, June and July. These three months are a little colder during the night, but these are the drier months which is appealing to most people. In my opinion the 11 months that the Inca trail is open each year, are very beautiful. In the rainy season of December, January, February, March, we see many plants, orchid flowers. Some animals, insects show up in rainy season which can make it a more interesting journey. The temperature is good during the night 9 degrees Celsius minimum and in the day we reach 28 degrees on sunny days, which can be too hot for some people. The dry season will be May, June and July. It can be a little colder during the night. Temperatures can reach the -5 degrees at night in some of the higher camp sites. The mountain views are spectacular, with impressive glacier and mountain covered in snow. The Inca trail always has something special to experience in every month of the year.